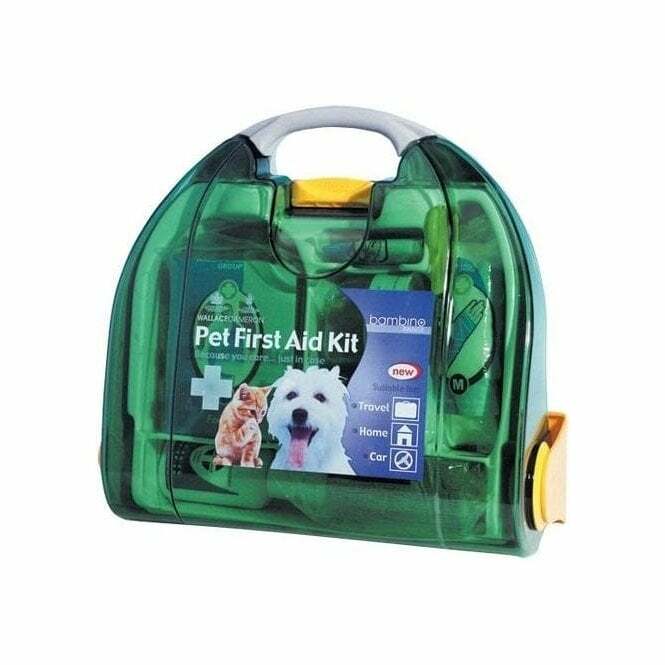 • Comprehensive pet first aid kit. • Suitable for use with all pets including dogs, cats and rabbits. • Cohesive bandage x1, small dressings x2, medium dressings x1, eyewash pods 1ml x6, gloves 2x pairs, scissors, waterproof tape, microporous tape, foil blanket, tweezers, apron, alcohol-free wipes x10. 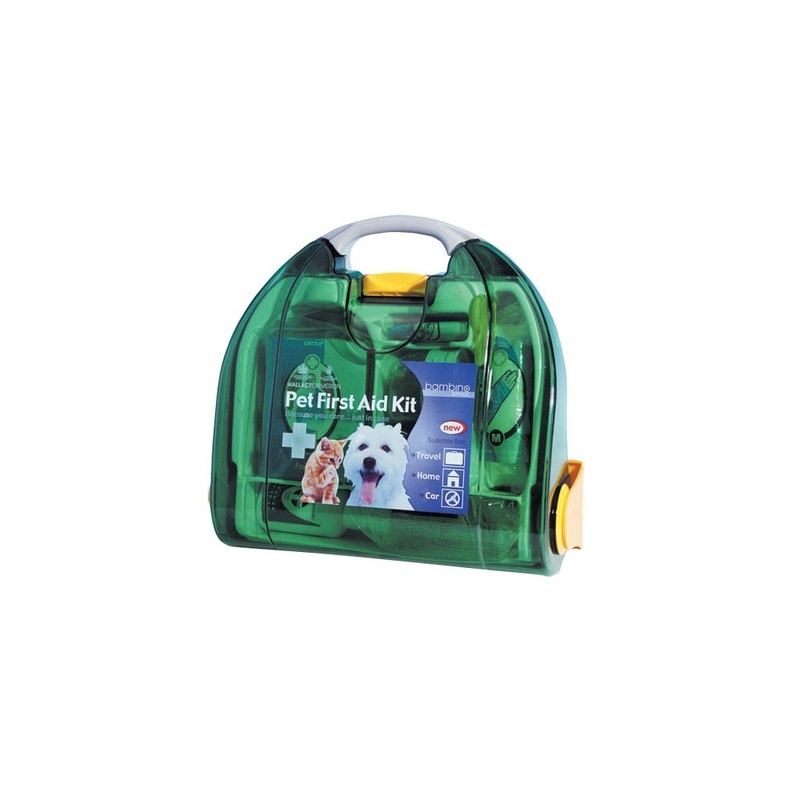 The Bambino Pet First Aid Kit is the ideal first aid kit for anyone who works with or owns dogs. This First Aid Kit includes all the essentials for administering first pet aid, including eyewash, dressings, wipes, tape, tweezers, bandages and a foil blanket. It is also includes protection for humans administering first aid, including gloves and an apron.